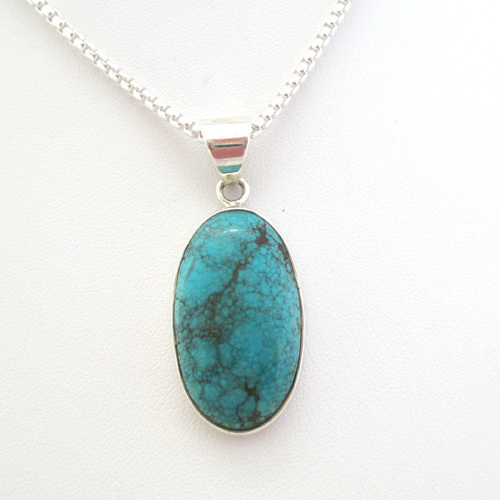 The natural turquoise gemstone from the Bisbee Mine in Arizona measures 1 ½ inches by ¾ inch. 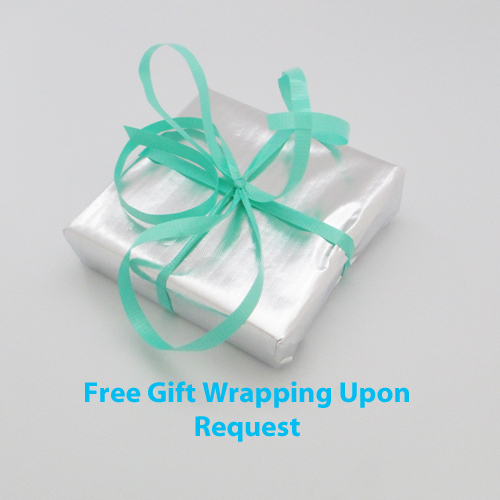 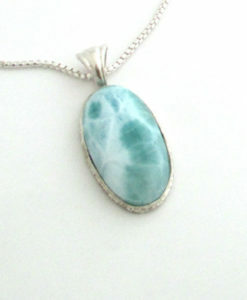 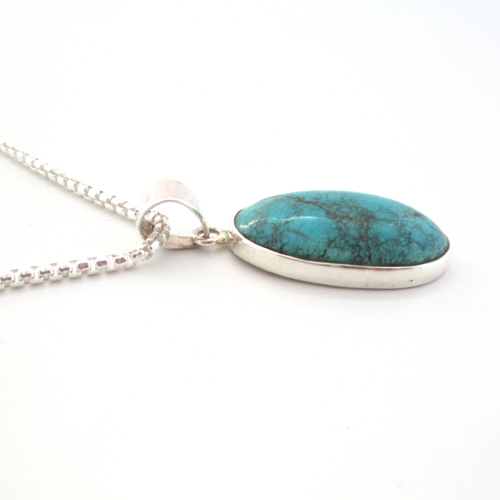 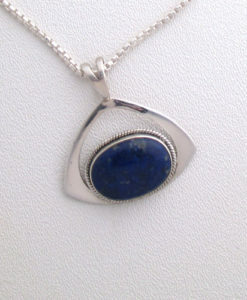 It is set in a sterling silver bezel. 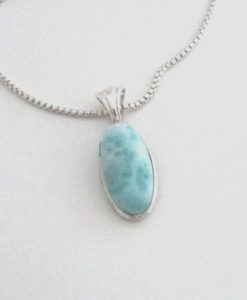 The chain is a round sterling silver box chain similiar to David Yourman necklace. 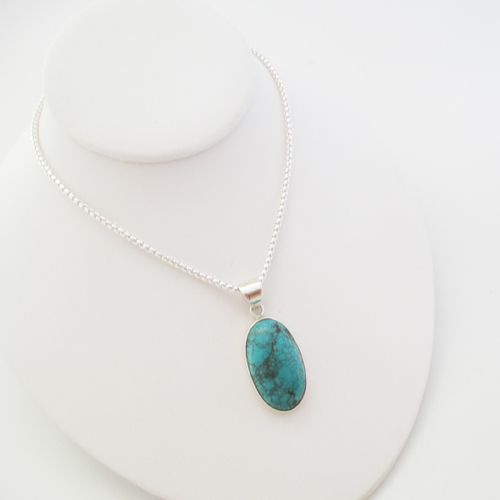 You can purchase the pendant without the chain for $120.